And so, on to the sweet dishes for my son’s 2nd birthday party. First up was some gingerbread men. 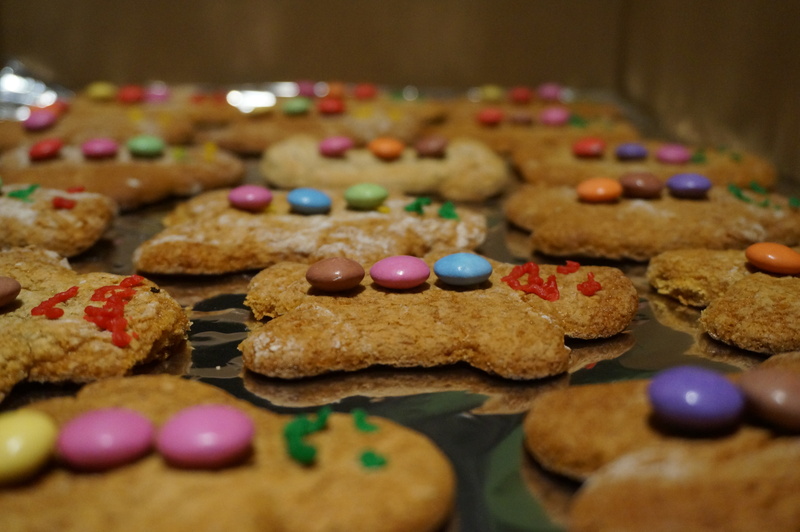 Now, I have made gingerbread men before – but I don’t do it that often, so had to follow a recipe. Whilst making gingerbread men isn’t too complicated, the dough isn’t the simplest to make, and of course you then have to (well, you can) decorate the men. The dough requires additional spices to make it taste of ginger – in this case I used ground ginger, ground cinnamon and ground cloves – which seemed to work! The recipe books suggested that you use white fondant icing to cover the gingerbread men before decorating them with Smarties for buttons and writing icing for their mouth and eyes. I thought this might be overkill (especially considering all the other sweet things that would be on offer), so chose to just add Smarties and the writing icing. It seemed to work, and I was actually quite proud of these men. I made a lot, so there were a fair few left over – but they seemed to disappear pretty quickly in the following week when taking them to friend’s houses! I realise it’s been a while since I’ve updated my blog. This isn’t, for a change, due to lack of baking. 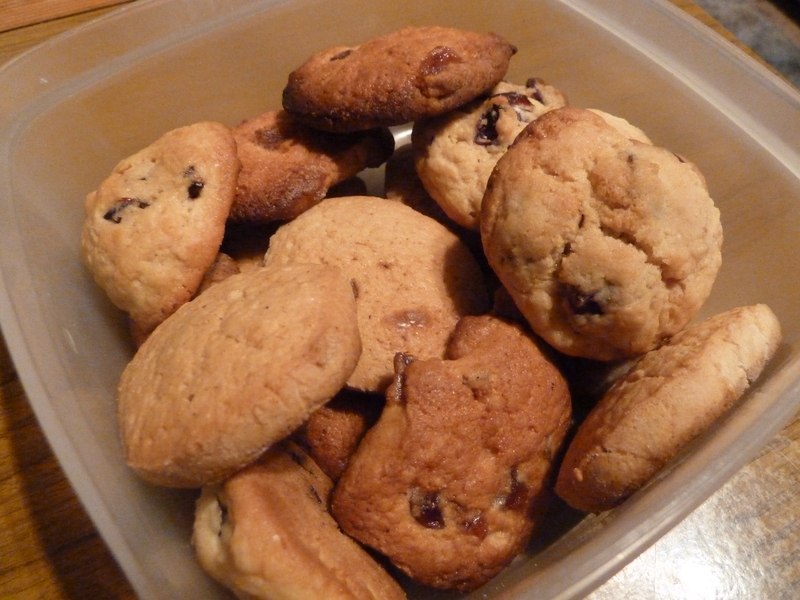 It’s simply due to lack of time to write about all the baking I have done! I’ll try to catch up here, but I may miss out some things by accident – my memory for all the baking I’ve done over the last month might not be the best! 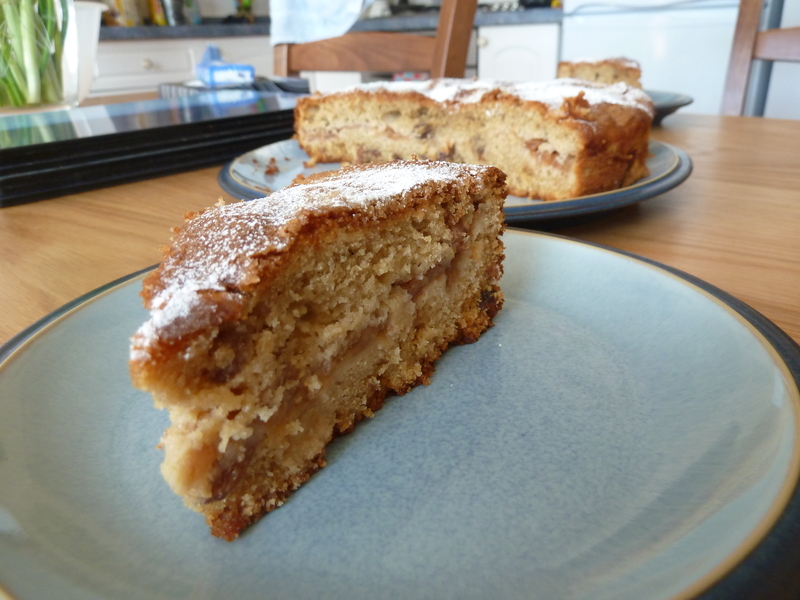 I made this apple and cinnamon cake when my in-laws were visiting, so that we had something tasty to feed them. I wanted to do something simple, and had a cooking apple hanging around, so it seemed like a good choice. Whilst I’ve made plenty of apple cakes in the past, this Mary Berry version was a new one for me. The only adaptation I made to the recipe was to miss out the walnuts, as I’ve never really enjoyed nuts in my cakes. Other than the addition of cinnamon, and the use of light muscovado sugar instead of caster sugar (although I admit that I supplemented my muscovado sugar with golden caster sugar as I ran out of the former), this is a fairly standard, easy-to-make apple cake. The difference between it and many other apple cakes that I’ve made is that you put half the cake mixture in the tin, layer the apple in the middle, and then top the cake with the other half of the cake mixture. The whole thing works really well, and is incredibly tasty. My 2-year-old can testify to this; he’s not a great fan of most cakes, but wanted seconds of this.